Why do volcanoes erupt? Where is the tallest mountain? How does the weather work? Find out in this interactive book with 100 questions and answers, and 70 lift-the-flaps to explore. 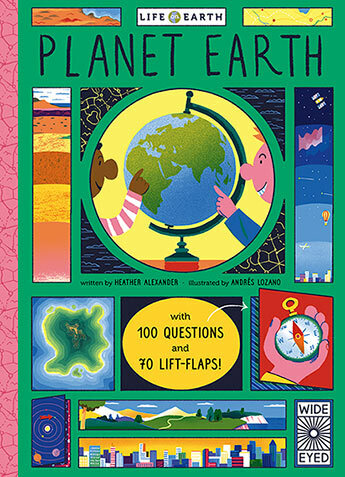 Lift the flaps to discover Planet Earth's place in space, look at the seven continents, learn about earths magnetic field, find out about the water cycle, see the worlds amazing habitats, and take a closer look at hurricanes, floods and avalanches.